DotA 6.67b AI Rev2 Map ver. 06/11/2010 Fix by Harreke. The new AI developer has released the fix version short after the previous DotA 6.67b AI. In this version he has fixed some weird bugs which cause some discrepancies in the last version but there is still a chance that bugs might occur because Harreke is developing his own open-source AI Script. 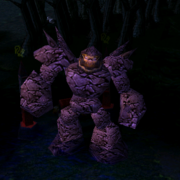 Update: DotA 6.67b AI Rev2b is out! - Spirit Breaker's Charge of Darkness causes target suicide and then becomes invulnerable. - Sacred Warrior's Inner Vitality heals instantly . - Double Click Scroll of Town Portal doesn't go back to fountain. - Puck's Aghanism doesn't work. - Goblin Techies doesn't gain XP when kill emey heroes by Land Mines or Remote Mines. We hope that this will be a stable release. So, Harreke can proceed to the next DotA 6.67c AI. If you find any bugs, kindly report them. wow dude..you make AI maps faster..you rock!!! murloc and ancient dont know buy item. They just buy ring of regeneration and town portal only. U work very hard to get that done.Hard-working guy thz you very much! gj harreke! u are the new buffmeplz!!! Harreke, thank you very much. Who is this Harreke???? Any profile???? Harreke! Can you make an AI for 6vs6 map? hey this map has a bug!!! I think i find a little bug. AI Ancient Apparition bought only Ring of Regen when the game started and that was all. He didnt buy more items later. Scourge: Ancient Apparition, Death Prophet, Vengeful. WaLlAh . . . tHx HaRReKe . . .
Can u guys tell this bug 2 herrek ? if there is your wish...i go!!!! ok harekke, Good Job !! got critical error when i played naga siren..hmm...help me pls..
do you know? Huskar can heal with his inner vitallity, INSTANLY..
Is harreke a chinese ppl? Why did he released the Chinese Version First than the English one ? zeus ai can cast his ulti twice.huhu.only fo ksing.is it bug? 1. WHen i used ANUBARAK, nerubian assasin, and summon scarab form urna swarm..The scarab won't use it's skill..
2. i SOMETIMES get FATAL ERROR when i use Ursa warrior, Nesaaj, Naga Siren, Traxex , etc.its so annoying. 3. I used lanaya, and i afk for a bit..
4. Sometimes if not fatal error, the AI too easy, when i used Gollum ( naix ), my level is 25 but the BALANAR ( AI Insane ) still level 9..??!!!! plz fix it and make ai become stronger yeah..
damn. i cant play the map. it says: "map size too big, please choose another map" . help!